Monitoring and controlling your miners have never been easier. Our software provides graphs of daily profit, GPU temperature, power usage and hashrates. Get the most out of your mining rig by monitoring it's efficiency. Our basic features are free for all users. 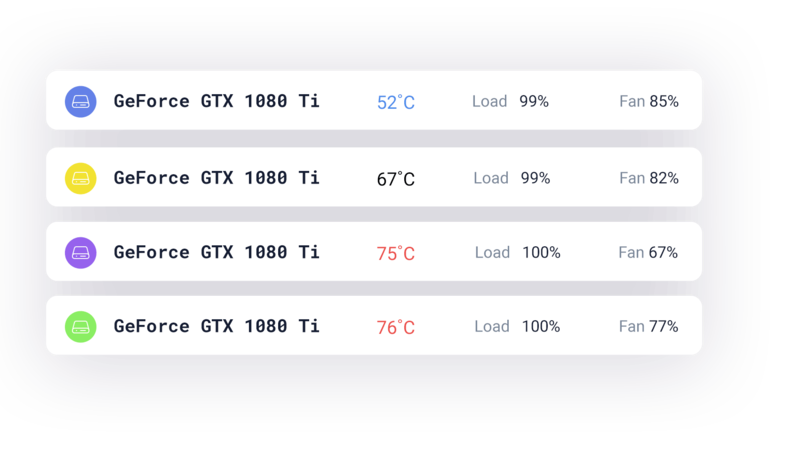 Monitor your GPU temperature, hashrate, fan speed, power usage and more. Get notifications when miner goes offline, overheats or becomes too noisy. Support Push Notifications, SMS and Telegram messages. 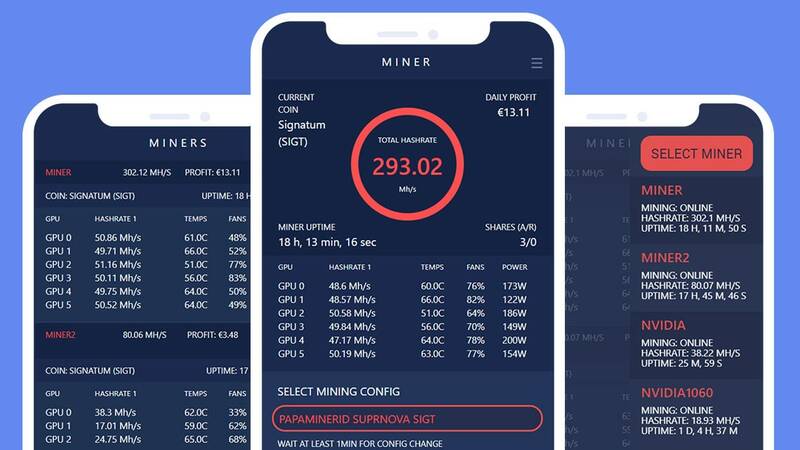 Easily manage and monitor your mining rigs from anywhere on any device remotely. Rig Rebooter is integrated with the EthMonitoring system and will automatically reboot frozen mining rigs. Rig Rebooter can be controlled remotely from the mobile app or website. You will receive notifications when your rigs are rebooting. 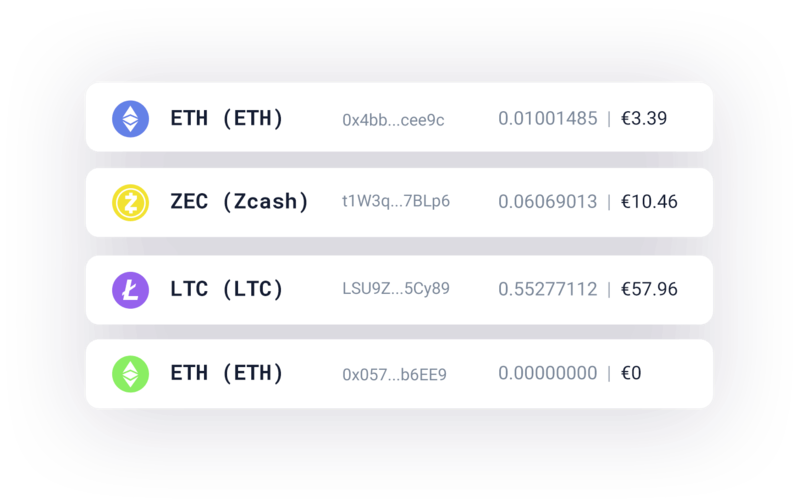 Quick and easy overview of all your coin wallets, listed with the latest value and exchange rates.